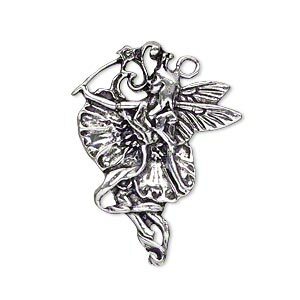 Focal, antiqued silver-plated brass, 33x24mm single-sided fairy. Sold per pkg of 2. Cast brass spacer focals showcase a wish-granting fairy in flight. 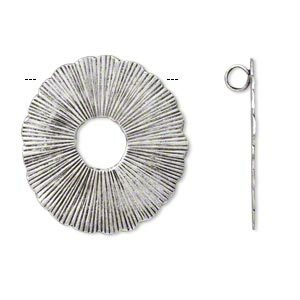 These jewelry-making components are plated with silver, then given an antiqued finish to bring out the complex surface detail. 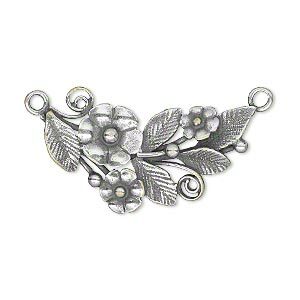 Focal, JBB Findings, antique silver-plated brass, 31x19mm single-sided with flowers and leaves, 2 loops. Sold individually. 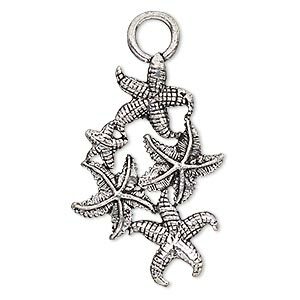 Focal, antique silver-plated brass, 39x26mm single-sided 5 starfish. Sold individually. 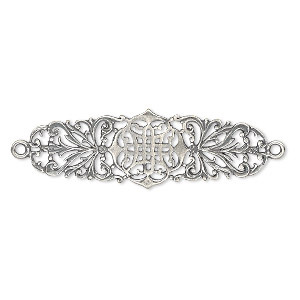 Focal, JBB Findings, antique silver-plated brass, 42x14.5mm single-sided filigree Celtic cross. Sold individually. 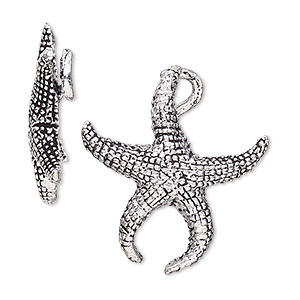 Focal, antique silver-plated brass, 31x28mm single-sided textured starfish. Sold individually. 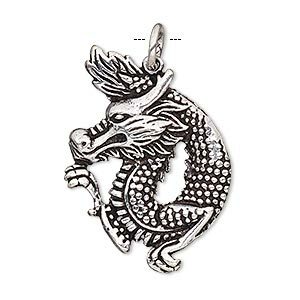 Focal, antique silver-plated brass, 35x25mm single-sided dragon. Sold individually. 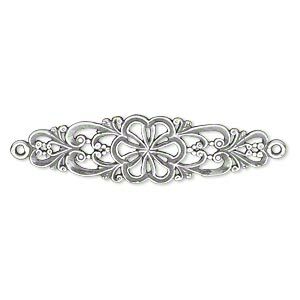 Focal, JBB Findings, antique silver-plated brass, 38.5x11mm single-sided with flower and swirl design, 2 loops. Sold individually. 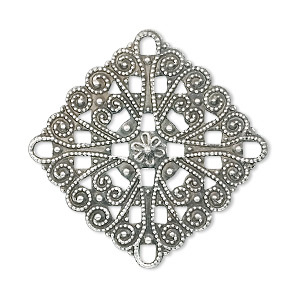 Focal, Hill Tribes, antiqued silver-plated brass, 45mm single-sided textured round donut with stamped flowers and hidden bail. Sold individually. 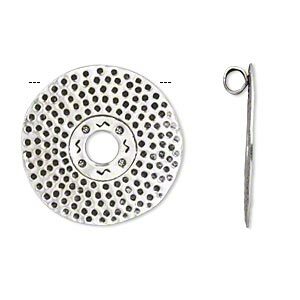 Focal, Hill Tribes, antiqued silver-plated brass, 50mm single-sided textured round donut with scalloped edges and hidden bail. Sold individually. 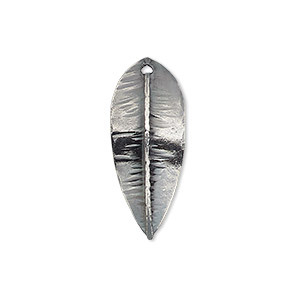 Focal, Hill Tribes, antique silver-plated brass, 32x13mm single-sided curved leaf. Sold individually.